Ever since John Legere teased Uncarrier 4.0 on his twitter account earlier this week, I’ve been racking my brains trying to decide what it’s most likely to be. In terms of its own plans, value and available products, T-Mobile has done about as much as it can do to convince customers to join. It has unlimited (and unthrottled) data, international roaming, a non-contract plan, and the ability to upgrade whenever you want. So, what else could it possibly do? After posting the announcement piece I was emailed by someone whose clear desire was to remain anonymous. He left no email for me to get back in touch and used a pseudonym. So, I wasn’t able to verify anything of what he gave me. It’s why I’m not posting this as a “this is what Tmo’s plans are”. Instead, it got me thinking and I wanted to hear your thoughts on how likely it is and what it could mean for the mobile industry. All in the spirit of speculating and provoking thought and debate. New customers will receive instant credit when they trade in a smartphone, then get a credit for the ETF charged by their old carrier when they submit the final bill to TMO. I have to admit, I was very skeptical when I read it. For single lines, this makes little business sense. Let’s say you are with Verizon, have only one plan, and want to switch to T-Mobile. You get your early termination fee covered, sign up to EIP on T-Mobile and pay it off immediately then cancel your Simple Choice plan. In that situation, Tmo has lost money. But, when you start talking families, it makes a lot of sense. I mean, if you have 4 lines on Verizon or AT&T, and are desperate to save some money, switching to a different carrier is no easy task. Of course, you could save a packet on T-Mobile, but if you have a good chunk of time left on your contract with VZW, how do you get out of it to switch? It’s even harder still to switch if each of those 4 lines has a different end date. Let’s use a “typical” 4 person family: Dad, mom, brother, sister. Dad has 12 months left on his line, mom has 4, brother has 8, sister is due an upgrade. In that situation, the endless cycle would normally continue as the daughter starts looking around for upgrades. Switching isn’t an option, since the rest of the 4-person family are nowhere near an end. Using Verizon as an example, the early termination fee for smartphone users is $350 minus $10 for each month they’ve had the contract. So, Dad is $350-$120 = $230. Mom is $350-$200 = $150. Brother is $350-$160=$190. Sister is $0. In total, that’s $570, a total which T-Mobile could potentially pay off if they trade in their old phones (to pay the down payments on new ones) and get their final bills covered by this “Houdini” scheme. Switching and sorting the finances isn’t hassle-free, but it’s not going to be expensive. To T-Mobile, it would be a fairly bold move. But with families, it’s not as risky as with a single consumer. Customers may well choose to go through this hassle to switch to a carrier with better value and more customer-focussed plans, but would they really be bothered to do the opposite, and leave again? I doubt it. Tmo could have a group of people here who are customers for life and have no desire to leave. This is presuming that they’ve checked coverage in their most-frequented locations and know they’ll be good with magenta. Here in the UK, we find independent phone stores offering to pay off the last few months of our contracts all the time. The normally limit it to around 6 months, but it is done. Our termination fees are nowhere near as cheap as the U.S., we have to pay the line rental remaining on our plans. But, I’ve personally never seen a carrier offering the same service. Only third party/independent stores. Now, I’m not saying this is going to happen. I have no way of verifying the information, and I’ve not seen any internal notices or paperwork. 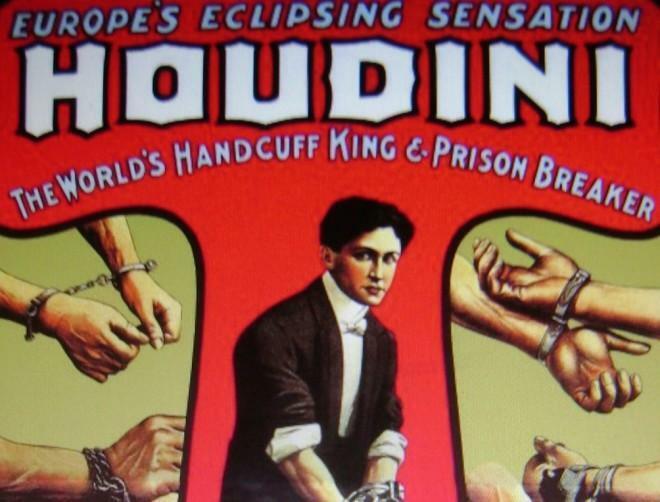 But “Houdini” could be just about one of the best magic tricks T-Mobile has pulled off it is in anyway a real plan. Other carrier’s I’m sure would kick up a stink that Tmo was incentivizing the opportunity for their customers to leave. Would it be classed as antitrust? Who knows. It’s not even a real thing yet. It may never be. What do you think? Could Tmo pull this off? Is it going to happen, or is Uncarrier 4.0 something much less exciting and predictable? Let us know your thoughts on what you think phase 4.0 should be. I received another email from one of our tipsters, who sent me an image of an internal document. I promised them I wouldn’t publish it here, but, let’s just say it goes along with what I’ve heard already. This carrier ETF rebate promotion will be launched on January 15th, according to our source. In order to qualify, you must trade in your old device and purchase a new T-Mobile one. The rebate to cover your other carrier’s ETF will be achieved by a combination of the trade-in value of your old phone and the promo rebate to cover the difference. If you have a smartphone, the maximum rebate value is $350, for a feature phone it’s $200. For example. Let’s say you’re the Dad in the above situation, you have $230 to pay your old carrier. Your old phone is worth $100 on trade-in, so T-Mobile stumps up $130 to cover the rest of the cost. How much you get from T-Mobile is entirely dependent on how much you need to pay to end your old contract and how much your old device is worth. This would be great. I know at least 4 of my friends want to leave their companies for t-mobile, but don’t want to pay the early fee. 3 are from Sprint, and one is from Verizon. And another one of my friends just left Verizon and came to T-Mobile because his contract was up. No idea what they’re doing, but their marketing is working great. I can’t wait for those subscriber numbers to keep rolling in! More customers means more power to get top end new devices! How about just buy the unlock one and use it on T-mobile? Isn’t that the whole point of uncarrier and BYOD? It’s available on Sony’s website and Sony stores for $649.99. BK at the end means Black because I pulled this out of the Black model. Model C6902 is HSPA+. Model C6903 will run with T-Mobile’s LTE. However, C6903 will not be the model released in the US. US models are typically Cxxx6. We were talking unlocked versions. In regard to the models currently released the C6906 is compatible with AT&T, not T-Mobile. Actually, no. Cxxx3 models are typically for Europe, which is why the C6903 has LTE bands 1, 2, 3, 4, 5, 7, 8, and 20. Of those bands, only bands 2, 4, and 5 are for the US market. Band 7 is used in Canada, and the remaining are for Eurasia. The C6906 has LTE bands 1, 2, 4, 5, 7, 8, and 17. Band 3 is dropped and band 20 is replaced with band 17, providing AT&T LTE compatibility. Both models support UMTS bands 1, 2, 4, 5, and 8. That means either model will work great on T-Mobile’s UMTS and LTE networks, but only the C6906 works on both T-Mobile and AT&T with LTE. This is absolutely true. We no longer need to wait for T-Mobile to carry the phones to use them. We would pay full price either avenue. More and more people need to realize how Un-Carrier works and that we aren’t held back by subsidies and carrier offerings any longer. the sony xperia is now also sold on google play. Advantage is latest s/w updates from Google and no unnecessary bloat. You don’t get the Xperia experience on that. Hence, it’s only called Sony Z Ultra. If Sony apps and PS3 controller stuff, etc. are important, then you would probably still buy the Sony Xperia devices than the GPE. The Z Ultra is also a 6.4″ phone compared to 5″ for the Z and Z1. For some people it still isn’t easy to just drop $650+ tax on a new phone. If the carrier sells it then customers could use EIP to help pay for the phone. Then Jump in 6 months to a year if they don’t want it any longer. You KNOW I am just waiting for it to hit the US. Hoping this is what we’re looking at. I have 4 lines to transfer right now (mine already is). If they did this, they would have four more customers the very next weekend; and Verizon ca walk. “unmarried 4″….don’t you just love auto-correct on these smartphones LOL! great for getting new customers, but what about us already on the network. i guess more cash flow for the company may “eventually” benefit existing customers(build out network). this is my only “pain point” with tmo. Bold move if true. Invest some capital upfront to boost your subscriber numbers (basically buy subscribers), but hold on to them long-term. I think Ting tried this about a year ago. Even better is that many ATT subscribers can probably just unlock and port their phone to T-mobile. Bah Humbug! Once again the “Long Time Customers” get left out! If I’m not mistaken, current customer just got a promotion for $0 down phones. I’m not quite sure what you’re referring to here, or what you seek, but T-Mobile is seeking to increase it’s bottom line. Increased customers leads to more revenue. Leads to more funds to increase coverage. Leads to better devices due to larger customer base available. Leads to better competition, and eventually seeing T-Mobile rise as a top mobile operator; as it should. I do absolutely agree that current customers should be taken care of as well, but from what I’ve seen as a T-Mobile customer, this company isn’t about gaining customers and treating them like crap. What are you looking for that you don’t get currently? If this goes back to the whole coverage issue, as it seemingly always does, just keep in mind that T-Mobile is committed to bettering that situation as well, but more revenue will help. The $0 down promotion simply shifts the total cost of the device to the installment plan and doesn’t reduce the customer commitment at all. If this were to be the meat of Uncarrier 4.0, even though it wouldn’t give me so much as a nickel in real terms, I’d appreciate TM canceling my ETF obligation now that I’ve migrated to Simple Choice. That at least would put me on an equal footing with all the new customers they hope to draw in by subsidizing their ETFs. So, throw in the cancellation of all ETFs for people who have migrated to Simple Choice plans and that would be fine with me. I was just going to type this. I got another year of contract before I save money with their lowest price jplans. Bridge to Value is an option but you have to be 6mo away from contract completion. Or they could keep the contracts going until completion so that they don’t take a total loss on the subsidized phone but eliminate the migration fee to move everyone left on contracts to the Simple Choice plans. This helps those still on contracts save some money. Have you asked for and been refused migration to Simple Choice without a migration fee? I made the change a couple of weeks ago, with my legacy contract not due to expire until the end of August 2014, and had no migration fees. Admittedly, I’ve been a customer for over 10 years and do get a better response as a result. I have no plans to go anywhere else for service, but it would make me feel happy that TM are doing something for existing customers in Uncarrier 4.0 (assuming they will be subsidizing ETFs for new customers), if they were to waive the ETF obligations from contracts for those who migrated to Simple Choice. On the other hand, I suppose I wouldn’t mind if they offered migration to Simple Choice for everyone without a fee and left the ETF in place. I’ve already had that, but plenty of others could benefit. I’ve asked a few months back got the response of Bridge to Value then the “oh no, you are not 6 months away from contract completion”. I’m hitting the 5yr mark with the company in 5 months which would be before getting to the 6 months left on the contract point. Then they will let me move over to Simple Choice with no fee’s. It’s a perk they offer for those with the company 5yrs or more. That’s a good point. I’ve been with them for eight and a half, so they do tend to bend over backwards for me. 11 years with T-mobile and they won’t do anything for my account but my account shows as 1 1/2 years old, because I came from an employee account and makes my tenure look short. Reps never believe the customer about saying they were with them longer, because of so many customers claiming the same thing who were never with the company long. I know your circumstances are different, but reps are normally quick to comment about how they appreciate the length of time I have been a customer. Why would the reps not believe someone’s claims when there clearly must something on the customer record which indicates account age whenever they talk to me? My comment was specifically about my account. When I started working there I had been a customer for 7 years but that account had to be converted to an employee account, which makes your tenure appear much less. The same thing happened when I became a regular customer again. My account doesn’t show that I’ve been with them since 2002, just since 2012 and reps hear it all the time where someone claims their tenure is much longer than what is shown on the account. It was a generalization. They can see the start-up date for the account but lets say the account states they’ve been a customer for 2 years but they’ve been a customer for 10, because they moved from someone else’s account then that’s when they never believe the customer. By that definition, my kids have been customers for the best part of 10 years, but as they’ve never paid me a cent for their phones or the services they received, I don’t really think it would be unreasonable, if TM considered them new customers whenever finally they get around to paying their own way…LOL! What’s the use of ETFs remaining in place if the customer never got a phone subsidy. New customers get that benefit and if they really did follow the “uncarrier” model then they’d nullify any contract that isn’t based on a subsidy. My starting proposition was nullifying contracts and associated ETFs, but it struck me that TM might also offer migrations to Simple Choice without a fee to legacy customers regardless of their timing in the contract cycle, which would be a benefit to some existing customers. It wouldn’t do anything for me and probably not you either, but it would be better than doing something more for new customers and nothing for existing ones. I do agree that ETF should be waived for everyone that doesn’t have a subsidized phone, regardless of what else they do for new and existing customers. Incorrect. BTV can be done at anytime (assuming you would like to pay a migration fee) – if you do not want a migration fee, you have to be 18 months or more since your last subsidy, not contract. BTV is only for a family plan where the other lines have a fee. I migrated from a Classic Plan to a Simple Choice plan (to enroll in Jump) back in October, was over a year out on my contract (I had just upgraded last November, right before Uncarrier was unveiled), and paid no migration/ETF fees at all. I don’t see any obvious pattern in the application of these policies, in terms of when they are prepared to relax their standard schedule. Maybe it makes a difference how many lines there are on your account. For example, they apparently waived $150 of migration fees on my account with 3 lines, with the timing of the change. It looks like they waived $150 on your account as well. If you have just the one line that might explain why they were willing to do it earlier in your contract cycle. While you didn’t pay any ETF charges for the migration, I’m pretty sure that you will be liable to pay them should you leave before next November, when your contract is due to expire. Two lines on the account, both were migrated. You’re right. I hadn’t thought of it in relation to Jump! since I haven’t signed up for it. I guess the saving for a Samsung or iPhone must be pretty good. The down payment on my N5 was only about $40. What? A sensible post? Unbelievable. No, in January TMO is getting rid of deposits for subprime. Irregardless of credit score customers can get phones without extra out of pocket charge. Its for both new and current customers if they are not past due on there bill. That would also be good. Looking forward to finding out. I don’t know honestly, I think the opportunity to run this gimmick without too much cash outlay has come and gone. Your example scenario may be a best case scenario and even then the total family ETF is close to $600. I suspect these days with 4-5 line family plans and recent smartphone upgrades it is pushing closer to $1,000 and THAT is a non-starter for most families and TMobile’s palette for doing this. The pool of qualified people seems to be too limited. This wasn’t clear in the first bit of information I got. The second makes it clear that it requires a phone trade-in. That would certainly make up for the potential loss if it was to do it without a trade-in. Tmo would make profit on the phones that customers are handing in, which should just about cover the outlay. Of course, this is still just rumor right now. That’s not much of a promotion, then. Why would anyone do that? They aren’t paying your ETF; you are. Nope. This is a stupid move! They just got out of the big hole they were in, and would not give up that much just to gain customers. Someone is feeding you the BS now, no way. Seems unlikely but if it happens my wife is SOOO jumping from VZW. one of the points of uncarrier was to change the subsidy model as it wasn’t in the interest of the carrier and not in the interest of the customer. I don’t see how this fits with that model. They are effectively providing a subsidy (provides some benefit to the customer), but without any benefit to the carrier. The only way this seems like it could work is if they forced them into some sort of extra cost plan, or treated the subsidy like an EIP, i.e. they would have 24 months to pay it off, but if they leave early it all comes due. So it be sort of like a balance transfer on a credit card. From what I’ve heard, you won’t be able to do this unless you trade-in your old phone. This wasn’t clear in the first piece of information I got. The trade-in would make Tmo money, since they’ll give you less than what your old phone is actually worth. This has already happened to me. I brought over 2 lines from sprint and they gave me each $200 credit to cover the costs. I am now enjoying the same phone I had with sprint but a tmobile version and now my battery lasts twice as long and I actually get high speed on it. This would be phenomenal. If T-Mobile needs you to trade in the old phones, it balances out in costs to the company. win win. I hope this is it cuz I’ll be telling everyone and their mom to switch over. I’ve seen carriers offer this as a special promotion in the past, but never on a permanent basis. It seems that all of the Un-Carrier x.0 changes have been permanent changes to the way that T-Mobile does business. This seems like it would be too expensive to maintain on a permanent basis. T-Mobile could give the credit after the third month in order to reduce the likelihood of people using this as a way to pay the ETF with one carrier, then go to a third carrier penalty-free. Hope this is true. Loving all the moves John Legere and Tmobile have been doing. If Dish took over, this kind of thing would die quickly though.. Even for single lines, they could lock you in for atleast 1 year and still be an attractive deal. Meaning if you cancel you pay back the credit they paid for you. ting did something similar to this earlier this year, except instead of paying it off directly you simply received the etf credit towards the ting line. that wasn’t really worth it. Not a good value at all. For exemple Tmo will give u 290 US dollars for an iphone 5s 32gb and 350 dollars do ETF= 640 dollar and than u buy another iphone from them for 750 dollars. The purpose of the deal isn’t to get you a phone for absolutely nothing. It’s to get you out of your old contract and get you a new phone on T-Mobile. It’s $350 in total that’s including the trade-in. it would be a good deal for some, in my case if i pay my 350 etf and take my phone with me it will be cheaper. in most cases if you have to trade your old phone you will end up paying that ETF over time. So, what if your current phone is unlocked and ready to be used on T-Mobile? It would still have to be traded in? Sounds like it. You have to trade-in a phone to get the deal. I’m still not 100% on this whole thing, but it definitely makes more sense than T-Mobile just handing out $350 to anyone looking to end a contract. Tmo can make the money back through trade-ins. Wow. This made me so confused and even more annoyed with how it plays out that I won’t be leaving Sprint for this, I’ll just continue till my contract is up and keep my TMo monthly 4G on the side. This is a rumor, supported by leaked information, which will be confirmed, clarified or contradicted when TM make their formal announcement next month. Why get bent out of shape about something that doesn’t even exist formally yet, and may yet prove to be untrue? Ugh… my contract with Verizon ends Jan 20. Wish they would have done this a couple months ago! So it’s just a promotion? which means it’ll only be for a limited time? or what? all the other uncarrer moves were perminant so we shall see! By the way couldn’t someone just sell their own phone by themselves and use that money to pay off their ETF?… wouldn’t that be simpler? or? Some phones aren’t worth enough to cover people’s ETFs. Especially Sprint phones. The value for Sprint and Verizon phones are always lower than AT&T and T-Mobile. Thus with those two carriers selling your phone actually might not cover your ETF. Even if it is a high-end phone. This could be extremely dangerous to the other 3 carriers. I’m not sure how they would react to this. I know tons of people who are already considering switching to T-MO but they are on family plans with staggered contract end dates and since someone always wants to get a new phone when the upgrade is available, they can never switch. Can’t wait to see how this plays out. I thought carriers were already doing this? At least that’s what Sprint and AT&T did for me. T-mobile will do anything but expand and improve their cellular coverage. They’ll give you free service in Uzbekistan but refuse to invest a single dollar in upgrading their massive EDGE 2G service. they are waiting to sell out the company, so americans can deal with the company, and DT can go back home. well they’re basically winning in the end lol .. trade a perfectly good phone in (maybe) to have to buy another phone for TMO’s payment to get you out of the ETF. if you look closely you’re actually paying for your own ETF just in a clever way LOL. I think this scheme is a total 100% WIN for an average medium class family who is stuck with at&t or verizon because of different upgrade period for each member. They want to lower their monthly phone bill and also want to enjoy a smartphone. With Tmobile, a family of 4 = $100 a month with a nice <$500 smartphones will cost them $4400 for 2 years. (assuming that 500mb is enough for each person) The same plan with at&t and verizon is $40 per smart phone + $55 ($60 for verizon) for 2gb of data = $215 per month. And $99 down for each phone will cost them around $5600. A saving of $50 per month for 2 years. This might not seem very much to many people but $50 saving EVERY month is quite a big deal for many families out there including mine. This whole un-carrier and all is not a win for an individual plan. You don't save much money. So if you have a individual plan try adding your close friends, or family and then your saving will be significant. I have 5 lines on my name and I wish Tmobile would let us add more lines. (at least 10) just like a&tt and verizon. What If I choose to trade-in a dumb phone instead of iPhone 5s, will they consider for trade? Go to at&t get a iphone 5s, come to tmobile and give them my old iphone 4 and they will give me back probably $50 for the phone and pay $325-$50 for ETF. And since my etf will be paid in full at&t will unlock my iphone 5s. I think tmobile will need to see my final at&t bill which will have my at&t account number and someone from tmobile will contact at&t and ask them which phone is tied to that account. I dont think tmobile is that dumb to fall for us this easy. I got a iPhone 5S with my upgrade but I use a different phone(N5) now..they have no way to find out what phone we got in upgrade. AT&T will not provide this info to Tmo and the final bill wouldn’t tell you either. The only way you can get all the credits is if you get a new T-mobile phone so you’ll have an EIP on a new phone that you’re paying for with t-mobile so really it souldnt be a smart idea to do it that way if you look at the whole situation. You”ll get more on a trade in with an iphone 5s raher than 4 to cover your termination fee..
i know sprint doesn’t have nearly the number of customers that V or A have, but i would imagine that with there new horrible service due to “project vision”, i will be first in line of many counting the days until 1-15! i stopped in to a tmob store and did a side by side bandwidth test with my sprint note 3 vs the t-mobile note 3 and my sprint service (in 4LTE) – end result is that my sprint note 3 couldn’t push over the 1mb (yes in 4LTE) while the the tmobile was faster than our home wi fi … sprint project vision is blind to their customers. If this all plays out the way we are being told it will, then the only hope I have is that the trading values for the phones are fair. If it’s $50 for a “high end” smart phone, then it probably won’t be worth it. Guess we will just have to wait and see on the 8th!